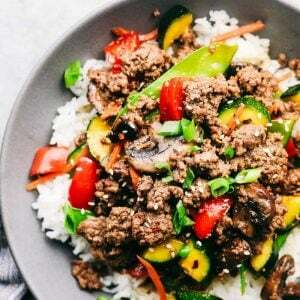 Korean Ground Beef Stir Fry is incredibly easy to make and has the best flavor! This is a recipe that my kids beg me to make every single week! 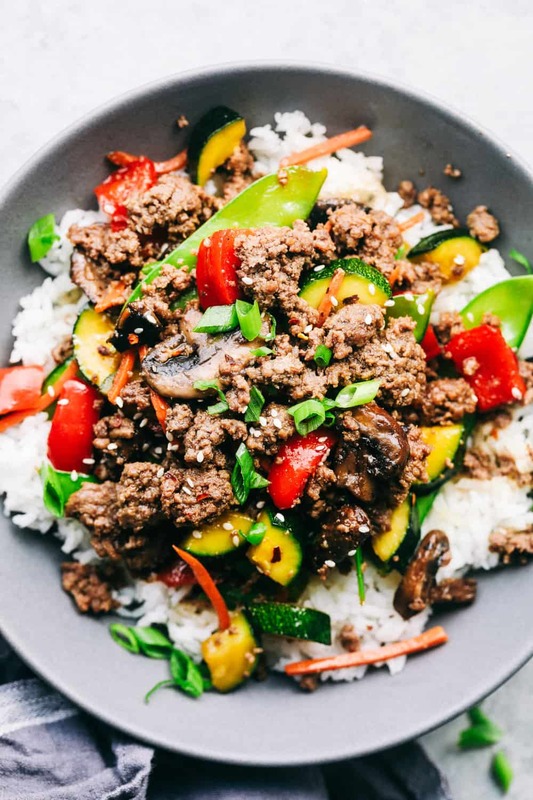 There is one thing that I can count on all of my kids to eat and it is this recipe for Korean Ground Beef Rice Bowls. In fact, my cute ten year old makes it for the family each week. 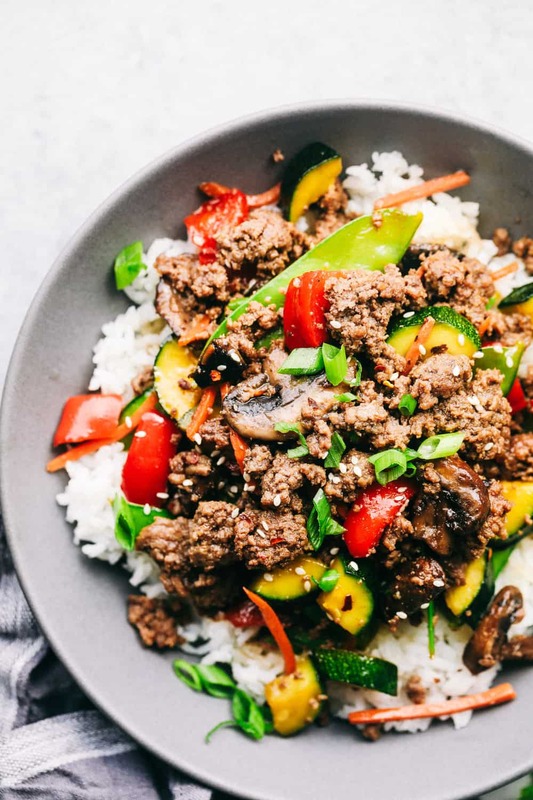 I decided to switch it up a little when we made it this week and turn it into a stir fry! Let me tell you. This was so incredible with fresh veggies added. The sauce is the absolute best on this and it makes the flavor out of this world good. We are reminded every single time that we make it why it is a favorite at your house. I know that it will become a favorite at your house, and if my ten year old can make it, you can too! In a large skillet cook the ground beef and garlic breaking it into crumbles over medium heat until no longer pink. Remove and set aside on a plate. Drain the grease and add olive oil and veggies and cook until tender. Add the ground beef back to the skillet. We used our families favorite vegetables in this which include sugar snap peas, carrots, red bell pepper, zucchini and mushrooms. You can always customize this to your families taste and preference. I love making a meal in one that is packed with delicious and fresh vegetables. 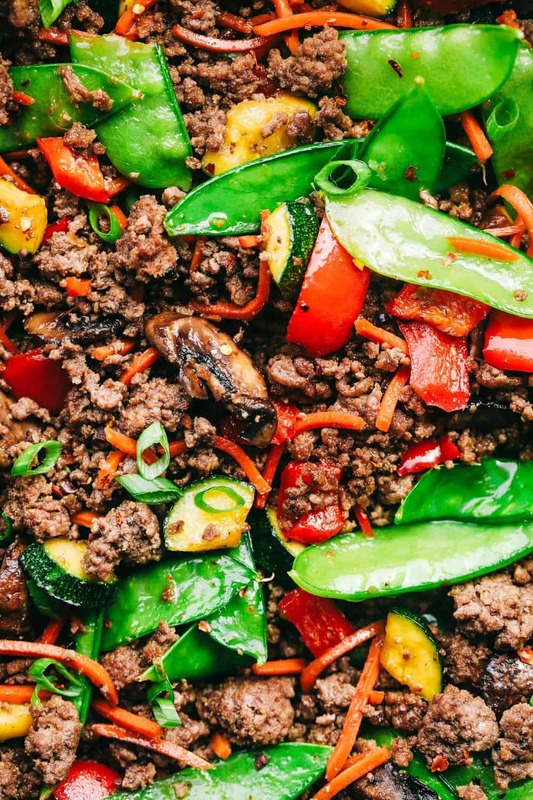 What vegetables are good in a stir fry? I made this recipe after my son sent the link, stating it was awesome. The flavors are amazing, and you can add just about any kind of vegetables for variety. I actually double the slurry because it is sooo good mixed with your rice! This is a great recipe! 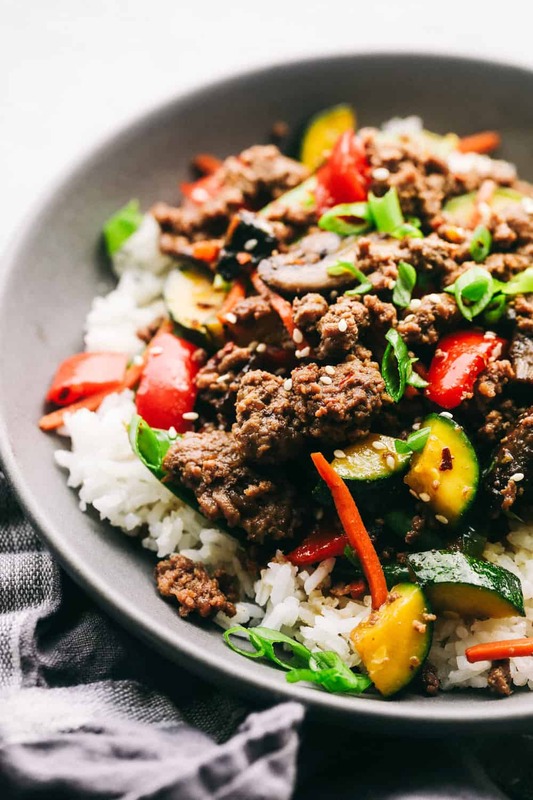 Made this for dinner using ground elk, and it was fantastic. 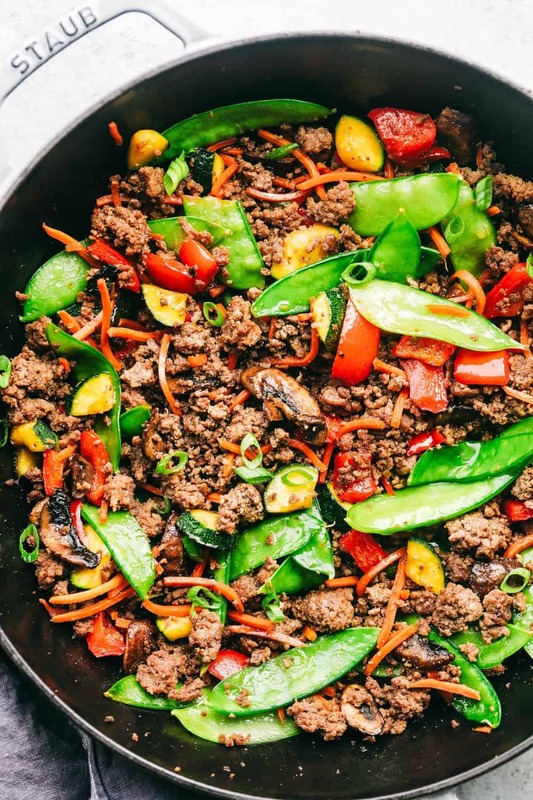 I never thought of using ground meat in Asian stir-fry. Thank you! Can you leave the sesame oil out of the sauce? I don’t have any left. The sesame oil will add some flavoring but if you prefer to try it without the oil that is fine too. I absolutely LOVE this!!! The vegetables I use are: bell peppers, sugar snap peas, green onions (actually cook them with the other vegetables), & mushrooms. Found this was a good mix for my family. But I like how you can substitute or mix & match. I left out the red pepper flakes since I”m not a “heat” person. 🙂 SO yummy!!! Great recipe. I found it a bit sweet so will only add half the sugar next time.